The Map Exercise of the Project AIGIS was completed successfully on Friday, 1st of March 2019. 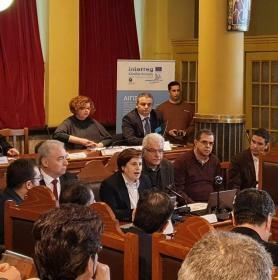 Video from the opening speech of the Governor of the North Aegean Region Mrs Kalogirou and the greetings from Prof. Mr Lekkas (National and Kapodistrian University of Athens) and Prof. Mr Zouros (University of the Aegean), in the context of the Map Exercise of the Project AIGIS, on the 1st of March 2019, in the premises of the Regional Council, in Mytilene (source: stonisi.gr). 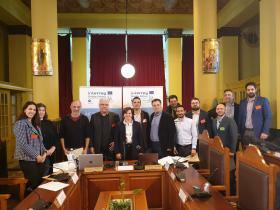 On the 1st of March 2019, in the context of the project AIGIS INTERREG Greece-Cyprus 2014-2020 a scheduled Map Exercise was held at the premises of the Regional Council in Mytilene.